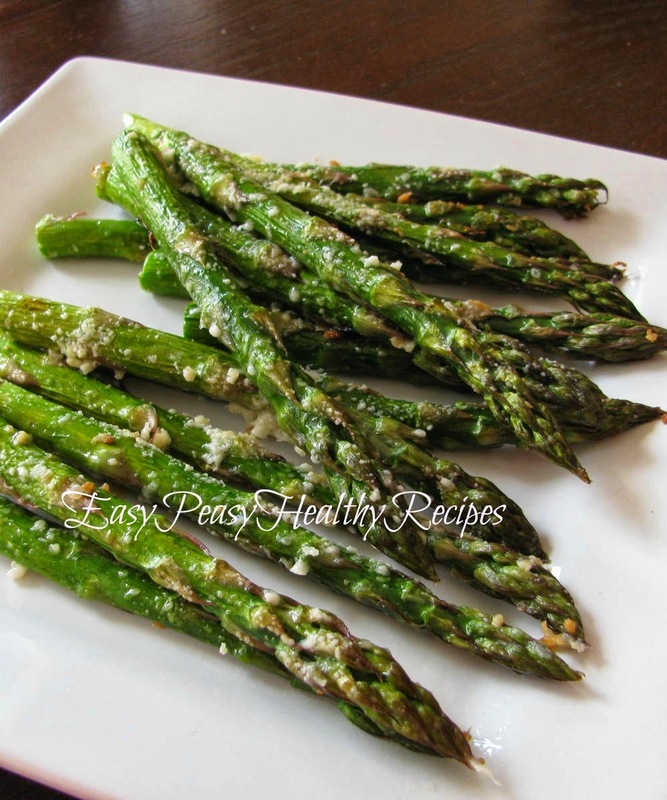 This is my favorite way to cook fresh asparagus. Roasted to tender perfection with garlic and parmesan cheese. First you will need to remove the tough stalk from the end of the asparagus. To do this grab the asparagus at each end and bend. The stalk will snap at the point where it starts to get tough. Place the asparagus in a bowl and drizzle with the olive oil. Sprinkle on the garlic and salt and stir until coated. Place on baking sheet and sprinkle on the parmesan cheese. Bake in preheated oven at 425 degrees F for 15 minutes or until tender and edges are starting to turn crispy brown. 2. Place the asparagus in a bowl and drizzle with the olive oil. Add the garlic and salt and stir to coat. 3. Arrange the asparagus on a baking sheet. Sprinkle with the parmesan cheese.